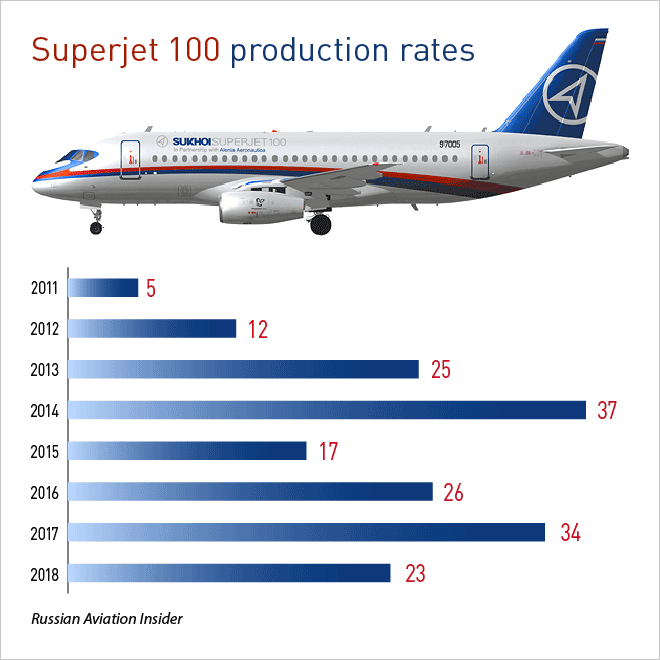 Russian manufacturer Sukhoi Civil Aircraft (SCAC) last year considerably – by one third – has reduced the number of Superjet 100 regional jets produced, compared to successful 2017. SCAC has built just 23 SSJ100s in 2018, 11 aircraft short of 2017 output. 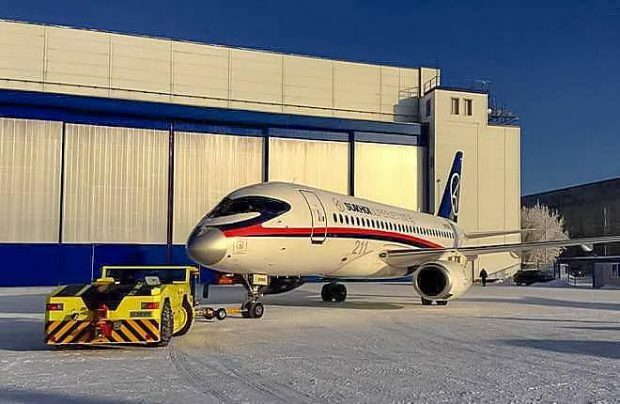 The significant reduction of production rates is believed to be linked to the shortage of PowerJet SaM146 engines, which power the Russian regional jet. SCAC’s president Alexander Rubtsov earlier explained, that in an effort to improve aircraft after sales support, the manufacturer had to release some of the engines intended for newly produced aircraft to its parent United Engine Corporation for the purpose of creating a pool of spare engines for SSJ100 operators. Sukhoi Civil told Russian Aviation Insider, that last year it delivered 22 aircraft to their operators – eight via GTLK leasing company to Severstal Airlines and Azimuth Airlines (four each), 13 to Aeroflot, and one VIP-configured aircraft was delivered to That Royal Air Force, the only SSJ100 overseas delivery in 2018. In addition to 22 new aircraft delivered in 2018, SCAC also sold four SSJ100s from those it had produced earlier. This year the total deliveries are expected to reach 30 — 22 new aircraft and eight those built earlier.